4:30 pm - 5:00 pm First-Grade Book Club: Have You Filled a Bucket Today? At its November meeting, the club will discuss Have You Filled a Bucket Today? by Carol McCloud. 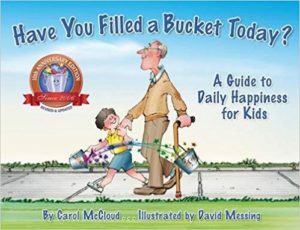 This book uses simple prose and wonderful illustrations to encourage children to be kind, and share their appreciation and love — with buckets serving as a metaphor for how our actions affect ourselves and others. 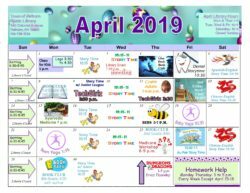 Walk-ins are welcome, but registration is requested by calling the Library at (914) 738-1234. 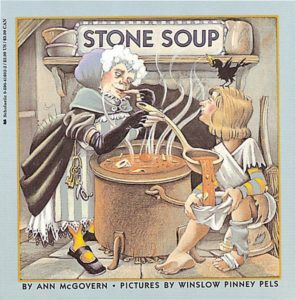 At its November meeting, the club will discuss Stone Soup by Ann McGovern. This is a new telling of the tale of an old woman who is convinced by a vagabond that he can make a soup out of stone! Walk-ins are welcome, but registration is requested by calling the Library at (914) 738-1234. I read this article and found it very interesting, thought it might be something for you. 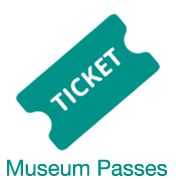 The article is called Events - 12 Nov 18and is located athttps://www.pelhamlibrary.org/programs.